Mad Men's Don Draper: Parenting fail or fathering with aplomb? 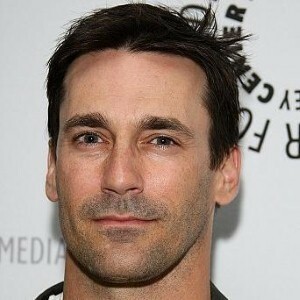 Home » Dad » Mad Men’s Don Draper: Parenting fail or fathering with aplomb? Mad Men’s Don Draper: Parenting fail or fathering with aplomb? Don Draper. The archetypal American male or an enigmatic anti-hero? Regardless, the man has style. The handsome but inscrutable main character on AMC’s hit show Mad Men has inspired more than one man to don a suit, throw back a martini or two during a long lunch, and embark on a journey of self-discovery (while the kids are at the sitters). But, how does Draper measure up when it comes to parenting skills? Though the series has inspired a slew of trends based on mid-century American design and style, we wonder how Draper’s approach to family life would stack up in a modern home. 1. Show you’re an involved parent – flirt with your kid’s teacher. In season two, Don met Sally’s teacher on a field trip, and made sure to get to know her. In the biblical sense. If you take your child’s education seriously, an extramarital affair may pay off at the end of the marking period. 2. When the wife asks where you’ve been, stare coldly, say nothing, then have a drink. Draper isn’t exactly forthcoming with information. Even within his own marriage, some of the more relevant details of his life, like, say, his real name, are closely guarded secrets. 3. Teach your kids to make an Old Fashioned – there’s a future in it and it doesn’t require tuition. Draper knows that a man who can fix a good cocktail (and drink several in quick succession), will likely go far in the business world. We’re sure that as soon as his progeny is old enough to handle a martini shaker and an ice pick they’ll be well-versed in the finer points of mixology. 4. Delegate work to others for the good of the kids. Draper knows a good thing when he sees it. The professional ad man can spot a catchy campaign slogan from a mile away. He has a preternatural instinct for locating single young women with time on their hands. And, he knows how to pick attractive secretaries who will take care of his Christmas shopping and remember the kids’ birthdays. 5. Kids don’t need therapy. They need more television. Draper survived Korea. He knows that some things, like feelings, are better left unsaid. When the kids act up, his MO is to remain stoic, park them in front of the tube and call a babysitter. A very pretty babysitter. Mad Man may make for good Sunday night entertainment, but those who like the creature comforts in life, such as the company of their wife and children, may be best served by donning a skinny tie and calling it a day.